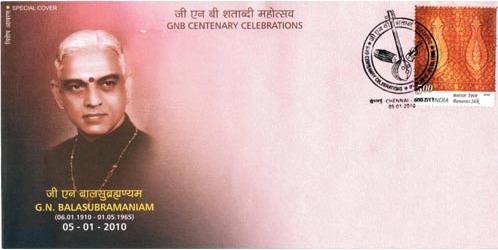 GNB was hailed to be the Prince Charming of Carnatic Music. None before and none after him could sing like him! Here are a couple of samples of GNB’s scintillating voice. 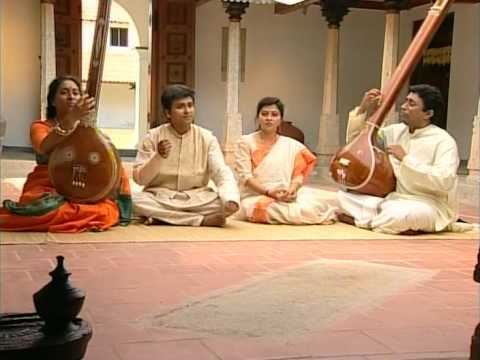 “Paramukha melara” sung by GNB in the Raga “Surutti” and Adi Tala. A Thyagaraja kriti. Excellent job kiran….looking 4 more of any rare rendations of GNB from yu….keep up the good job man. Great posting and thanks for sharing the works of GNB. Looking forward for more. i really thank you for extending such rare pieces. i am greatly obliged and delighted. Thank you very much once again. Thank you Goutam Iyer, Krishnaprasath and S.Sivaraman. I’ll try and put more of GNB’s music very soon. Are you refering to this link on the GNB site, which is part of the Sangeethapriya.org site? I tried it just now and the download works like a breeze. I used a d/l accelerator. But if you still have difficulties, pl give a shout. I’ll make an alternative arrangement for you. Thanks, thanks Srinivasan and Muralikrishna for your kind words. And I wish to warmly reciprocate your greetings! Excellent job. Real feast to the ears. Great job. Please keep it up. Looking forward to more such gems. Especially the record quality of the Surutti Krithi is excellent. I have some difficulty in downloading the Mysore concert. Will try again. Great job.Please keep it going. Do let me know if I can be of any help to you. Thanks, Sunil, for your kind offer. And @Girish, could you pl tell me the exact nature of the problem. And thanks for your kind words. @Bhaskar, it is very nice of you to compliment my effort. A wonderful service in the cause of carnatic music and its lovers. thanks a lot for sharing gnb sir’s concert and info with other rasikas. I believe that you have done a good job and of course a great service to the carnatic music and its lovers. It has been really a happy new year because I was able to download GNB’s songs from ur site. Thanx. Wish you a happy 2006 and beyond so that u may give us more GNB!!! I enjoy your sangeethapriya site. As a rasika I am a frequent visitor to this site to listen the music collections. The collections of GNB, somu, KVN and udayalur kalyanaraman are superb. wish you happy new year and i wish you all wishes in your endevours. Hats off to you Dear SK. A real praiseworthy job and great service to our evergreen Karnatak Music…. to these rare pieces needs to be appreciated. They make my efforts worth it. I’ll podcast more of GNB in the forthcoming posts. What you have achieved here,bringing his wealth to the general admirers of GNB music is unrivalled-It is a revelation! I got to this by a fluke. Done a very very good job. I have a good collection of concerts of vintage artists including GNB. How do I put them on this site for rasikas to download? Thanks for your offer, Mr. Natarajan. If you could give me more details about your location, the size of your collection, the format, bitrate of encryption (if it is in MP3 format) etc, I can arrange for their uploading on the site. Excellent work done by putting GNB’s collections in One place like this. But the Mysore(GNB-Chowdiah-Palani-1957) concert link is having some problem with zip file. I downloaded the zip file. After downloading the zip file, it is not opening properly. its giving some error. Thanks for the Sangeethapriya site. You are doing a great service to Carnatic Music. Thanks to you, though living in a place like Indonesia, we are able to enjoy Carnatic Music Concerts. This is a wonderful collection of the great musical genious. Thanks for the service that you did. You deserve a great appreciation for uploading these wonderful masterpieces. But the edukula khamboji is not complete. A yomen service to carnatic lovers and specially to GNB fans! Nice songs. Always it is so refreshing to listen to GNB. I was very impressed with the clarity of the recordings. Thank you for providing carnatic music lovers like me to have this wonderful feast by great master GNB and expecting more from you. This is a great job. Carnatic lovers like you are the key to preserve the masterpieces of traditonal architects of Carnatic classics. This concert was at Shree Shanmukananda Hall Bombay in the late fifties. Ingenious attempt. I was dying to get real music on web and one of my friends told me about this. I am immensely pleased and hats of to you for the yeomn service you are doing to the music lovers. Its really a wonderful job. I was so happy about the rare renditions of GNB. Is the Song THIKKU THERIYADHA KATTIL by GNB available? WISH YOU A VERY HAPPY, PEACEFUL AND PROSPEROUS NEW YEAR! Keep up the gr8 job. A source of constant joy! Yet to get an opportunity to visit Nairobi, capital of Kinshasa (aka Congo), Right? When I heard the song radha samedha krishna, it was scintilitating. excellently sung and recorded. I listened to the song 10 times continuously. very good. keep it up. Delighted to know that there are so many GNB fans. I have a few GNB collection in MP3 format at 128kbps. How to upload to your site, so that all our friends can listen and enjoy? GNB is my all time favourite. What is the reason for his death at such a young age? 55 was very much an young age for a singer. Thank God we have quite a few of his recordings, though not from his younger days, which were full of vigour and vitality. There is a nattakkurinji RTP by GNB where the pallavi is “Nee Mahima Koniyada Tharama?”. i have searched the net for it – only a partial version is available at SAWF.org.Could you please send me a link to the whole concert if you have it ? this is remarkable. 0nly today i went thru this and found Aragimbave, rAdA samEdA etc. excellent sir, live long. nice to hear such wonderful songs . thanks a lot. S.K I do not have words to express my gratitude to u. I am an ardent fan of Chembai. Madurai Mani Iyer and GNB. After going thru the GNB collection of urs I am thrilled to the core. Once again my heartfelt thanks and kudos for the effort put in. A zillion thanks to all those who have recorded their comments. I am really overwhelmed by the appreciation I have received from you for my tiny little effort! I have just added two more songs of GNB in my latest post. Click on the link “Weblog” on top navigation bar. Hi there…I found your site via Yahoo! when i was searching for lakshmi shankar, and this post regarding More on GNB really sounds very interesting to me.. Thanks. GNB is unforgettable phenomena. It is purely due to God’s grace alone one would have a chance of hearing his voice. Hello Mr.Kiran! I am 67 years old. Used to hear Shri GNB in Shanmukananda auditorim in 70s. Many thanks for you. Thank for your great work on GNB. Kindly collect his Saveri raga’s Patnam Subhramanyam Iyer Kruti ‘ Yetu Nmina O Manasa’. Mostly available with AIR. Kindly let me know the GNB family. Thanks for such a great job done by you..It’s really amazing to hear the songs of GNB the great. Just FYI.. the links for Ariyakudi Sri Ramanuja Iyengar is not working in the sangeethapriya web link..Pls help me to hear his songs by providing the links. Many thanks for the great service to the rasikas.I visited your site for the first time today and heard couple of songs.The experience was enjoyable.Please keep it up. Though I’d like to offer more concerts of GNB from my collection, I’m unable to do so since GNB’s sons have requested us not to provide his music for download since they intend to monetise it. But if you dig deep into http://www.sangeethapriya.org/, you may find some more concerts. Having said that, considering your age and the privilege you had to listen to the great master live (which we never had a chance), I can arrange to send a few songs personally to you, if you can mention your preferences specifically to me addressed to skichu [at] gmail dot com. I am in office completing my work and simultaneously listening to GNB sir’s performance . I like GNB music very much I have collected many songs from Sangeethapriya. I request you to give me GNB songs through mail nediafire. 1. Gnamosagarada, Samayamutelisi, Sevikkavendum, Upacharam Bhairavi, Vinayakunivalenu -madyamavati, Kapi ragam your song is very good Radha mukha Kamala Lyrics I have. A lot of thanks for the precious service to the music rasikas. I am also a fan of Sri.GNB. I visited your site today and heard Sri.GNB’S songs. I am highly appreciating your hardwork. I am praying to Lord Sri Padmanabha to shower his blessings to you and your family with good health and longliveness. Thanks for providing us an opportunity to listen to GNB recordings. The links to above songs listed in Sangeethapriya are not working. These were great hits in 1940s after which, he started popularising other keerthanas. Since there was no recording facilities, I do not think, any of these are available. If any one has any of these somgs, I shall be extremely grateful if they upload them. Bureaucrats cut red tape -- lengthwise.